Several years back, singer and songwriter Eddi Reader fell under the spell of Robert Burns. As a native Scot, she’d known of him from her school days, and as a singer and songwriter by trade she knew his work too and was often asked to sing a Burns song or two at celebrations. And so she did, and the work of the eighteenth century ploughman poet fell in with reader’s interest in history, music, and imagination. When she was asked to do a program of Burns songs with the Royal Scottish National Orchestra, she said yes. Working with arranger Kevin McCrae from the RSNO and fiddler and producer John McCusker from the folk music world, she created setting for the songs that were anything but the staid sort of thing one might think of when the word “I want it to be that you get to feel that you’re experiencing the songs as though they’d just been written,” Reader says. “If I can get the orchestra smiling, and singing along with Charlie is My Darling or Willie Stewart -- they had never heard Burns music played like that. They were falling in love with it and the arrangements are so bonnie.” And Reader is a really creative and natural song interpreter, too, one of the best going. 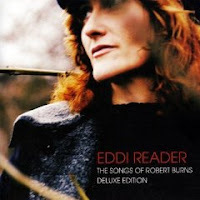 Those arrangements are the core of Eddi Reader Sings the Songs of Robert Burns, first released several years ago. In honor of the 250th anniversary of Burns birth this year, and in honor of Homecoming Scotland, which is being celebrated all year across Scotland, Reader decided to gather up seven more tracks, several from her album Peacetime and others unreleased, and add them to the original batch of songs. It makes for a set that’s even more engaging than the original. The first group of eleven songs includes Charlie is My darling, Willie Stewart, John Anderson My Jo, and Auld Lang Syne, as well as a touch of others’ work. The instrumental Molly Rankin balances with Willie Stewart, and the contemporary piece Wild Mountainside is a present day love song which in some ways forms the anchor to the disc. The seven added cuts really do add to the picture both of Burns writing and Reader’s singing. They include Leezie Lindsay, Green Grow the Rashes, Aye Waukin O, and Comin Through the Rye, which is paired with Mairearad Green's modern day instrumental, Dram Behind the Curtain. Even if, maybe especially if, you already have the first edition of this project, you’ll want to add this one too. 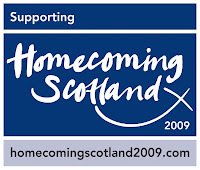 If you’ve not yet heard either of them, the year of homecoming Scotland would be a fine time to take a listen. Reader has a new album set for release on April 13th, and a UK tour based around that date. The album is called Love Is the Way.